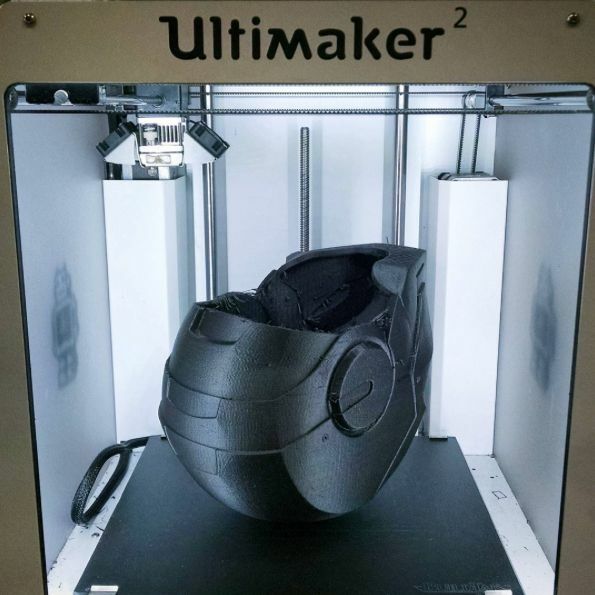 Carbon Fiber HTPLA combines engineering-grade performance with the ease and environmental-friendliness of PLA printing. This is a "super-material" with incredible stiffness so parts hold their shape. HTPLA filament with 15% chopped carbon fibers, black color. This filament is abrasive due to carbon fibers. Prolonged use may result in accelerated nozzle wear. Try a wear resistant nozzle for less regular maintenance. 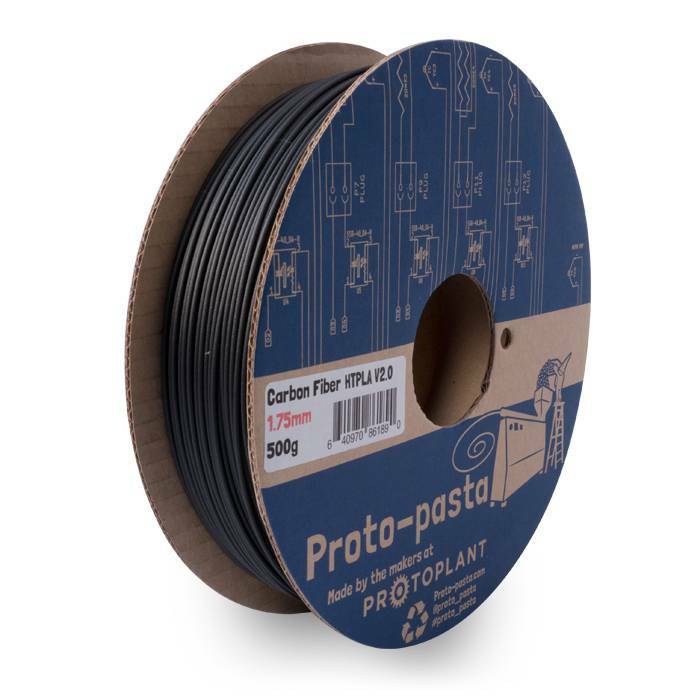 Printing with ProtoPasta Carbon Fiber HTPLA is very similar to printing in standard PLA -it does not require a heated bed. Use a standard build surface preparation like blue tape or glue stick. This filament has improved toughness for less breaking (when handling) and easier processing over the Original Carbon Fiber PLA. This filament is perfect for printing items that do not bend, such as: frames, supports, propellers, and tools (drone builders and RC Hobbyists love this stuff).